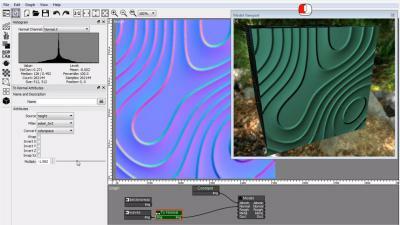 Sculpt Normal Maps using Bezier Curves with PixaFlux. 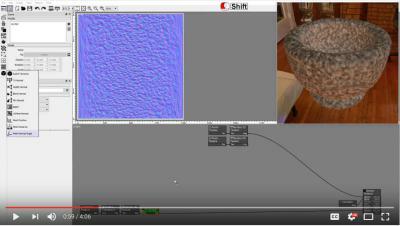 This video tutorial shows how to use bezier curves to sculpt normal maps using the Curve Sculpt Node. 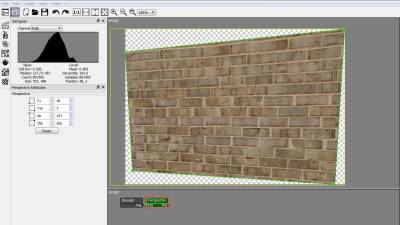 Learn how to create a Metal Fence using the Valuce Color Node and the nodes Waves, Cylinder, Valuea Add, Multiply, Maximum and Condition with PixaFlux. 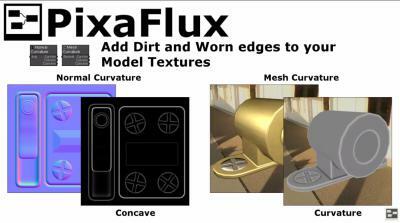 Add dirt and worn edges with the Mesh Curvature and Normal Curvature Nodes in PixaFlux. This video tutorial explains how to use Normal Curvature node and Mesh Curvature node to add dirt and worn edges to your models. 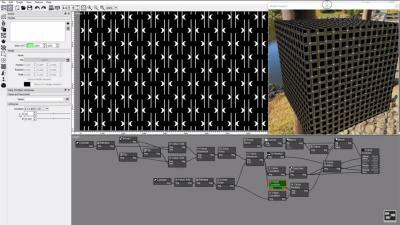 Clone and Transform Texture Elements with the Stamp Node in PixaFlux. 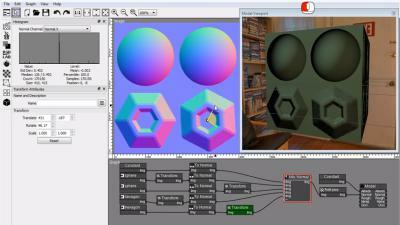 This video tutorial explains how to clone and manipulate multiple copies of objects and textures using the Stamp Node. 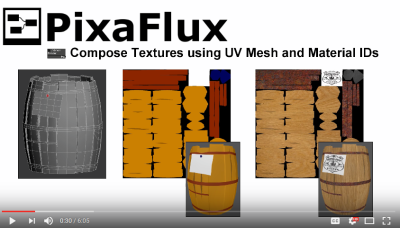 This video tutorial explains how to create PBR textures with PixaFlux from baked models, and how to use them in your Unreal Engine models. 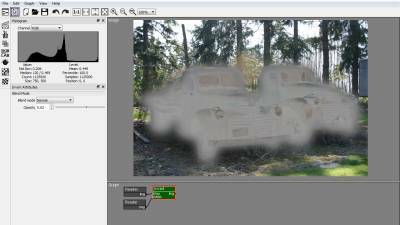 Learn how to use PixaFlux with this short and focused video tutorials. 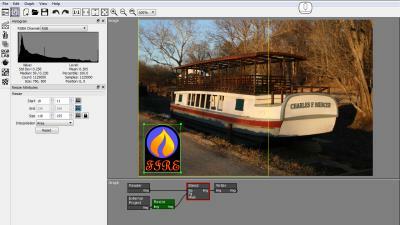 This video tutorial explains what is the node graph and how you can use it to compose your images. 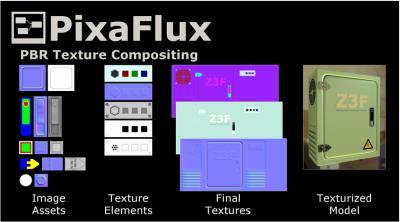 This video tutorial gives an introduction to PixaFlux. 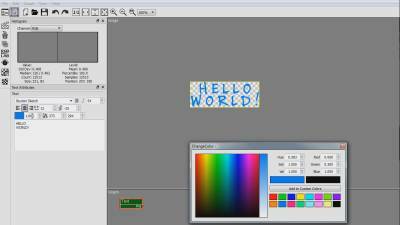 This video tutorial shows the user interface of PixaFlux. 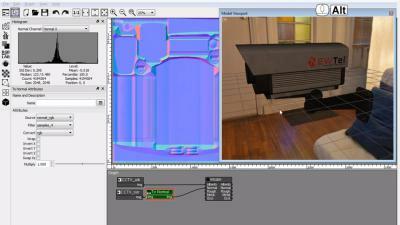 This video tutorial explains how to create and manipulate nodes with PixaFlux. 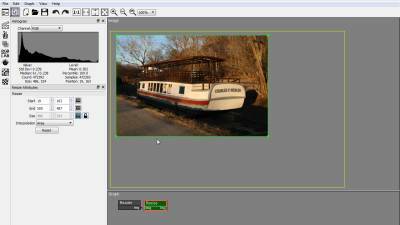 This video tutorial shows how to use the Reader node to load images into your composition. 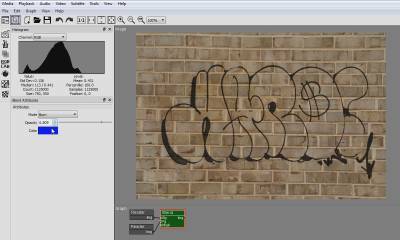 This video tutorial shows how to use the Text node to add a text image to your composition. 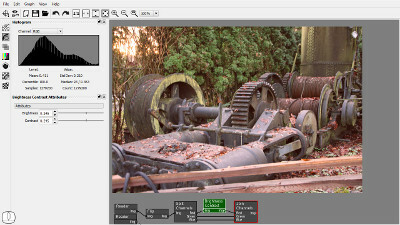 This video tutorial shows how to use the Constant node to generate constant color images and add them to your composition. 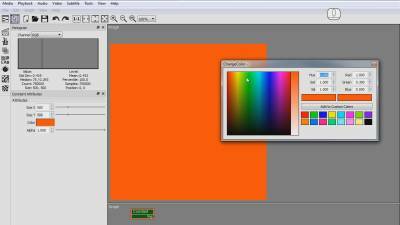 This video tutorial shows how to use the Gradient node to add gradients to the composition. 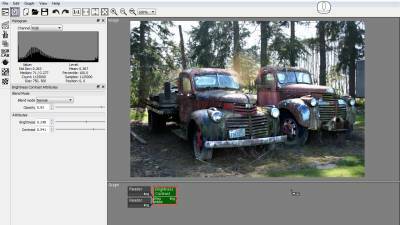 This video tutorial shows how to use the Checker node to add checker images and to the composition. This video tutorial shows how to use the External Project node to add a project saved in an external file into your project. This video tutorial shows how to use the Blend node to blend images and colors, as background and foreground layers, using opacity and blend modes. 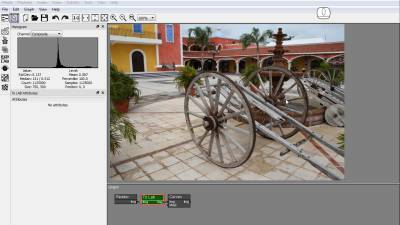 This video tutorial shows how to use the Transform node to translate, rotate and scale images in the composition. 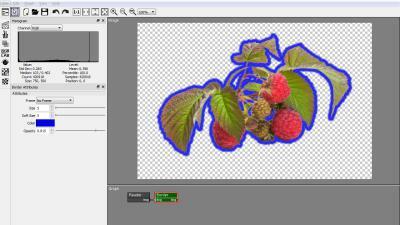 This video tutorial shows how to use the Resize node to resize images in the composition. 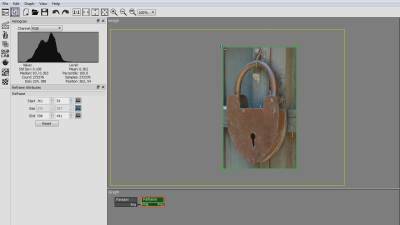 This video tutorial shows how to use the Reframe node to crop and extend images in the composition. 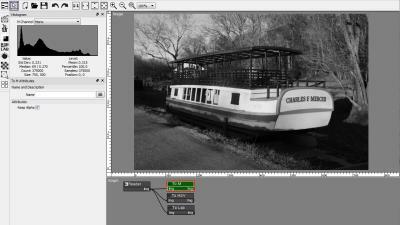 This video tutorial shows how to use the Mask node to modify the opacity of the images in the composition. 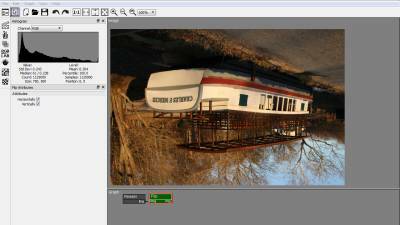 This video tutorial shows how to use the Perspective node to add perspective to images in the composition. 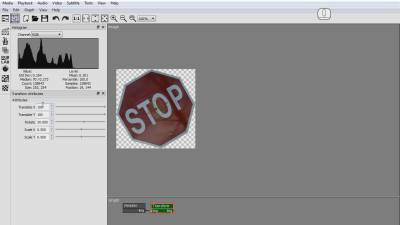 This video tutorial shows how to use the Flip node to flip images in the horizontal and vertical directions. 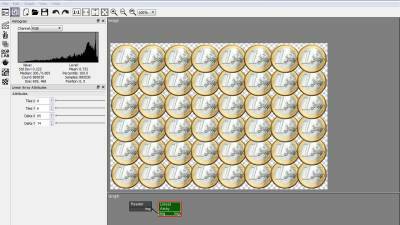 This video tutorial shows how to use the Linear Array node to create arrays of images in the composition. 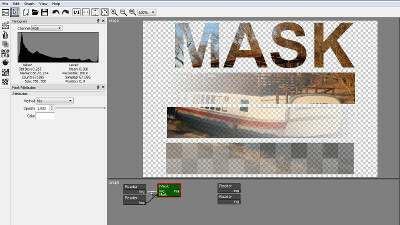 This video tutorial shows how to use the Border node to add borders and frames around images. 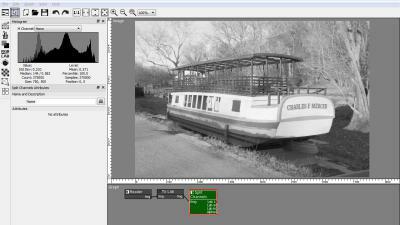 This video tutorial shows how to use the Split Channels node to decompose an image into its monochromatic components. 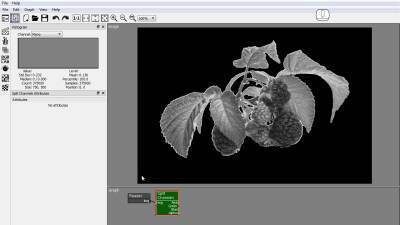 This video tutorial shows how to use the Join Channels node to decompose an image into its monochromatic components. 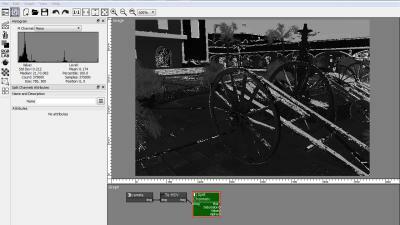 This video tutorial shows how to use the To M node to convert a color image into a monochromatic image. 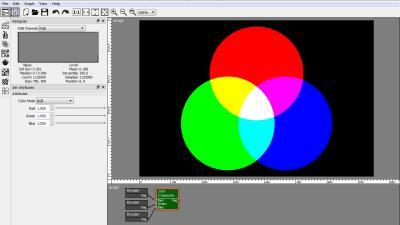 This video tutorial shows how to use the To LAB node to convert an image to Lab color space. 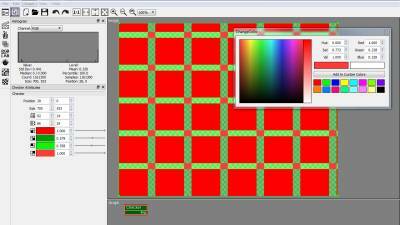 This video tutorial shows how to use the To HSV node to convert an image to HSV color space. 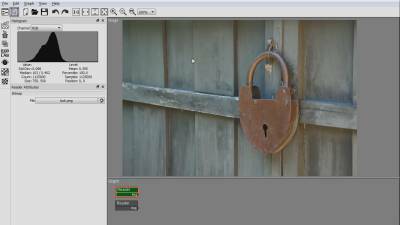 This video tutorial shows how to use the Brightness Contrast node to enhance images in the composition. 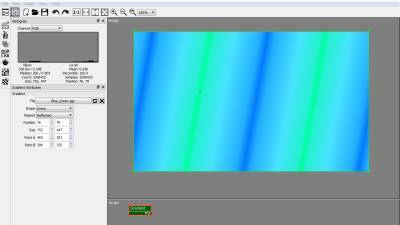 This video tutorial shows how to use the Invert node to invert the colors of images in the composition. 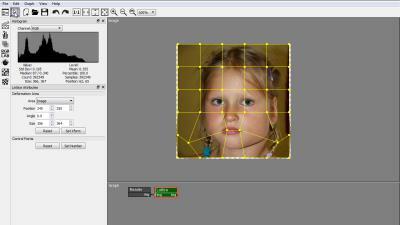 This video tutorial shows how to use the Lattice node to deform images in the composition. 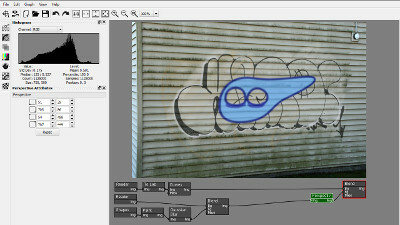 This video tutorial shows how to use the Stamp node to clone and transform texture elements in your composition. 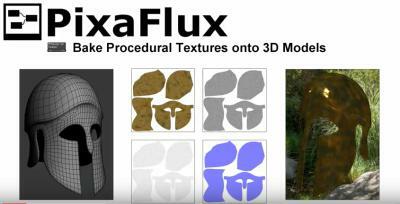 This video tutorial shows how to create Procedural Textures with PixaFlux. 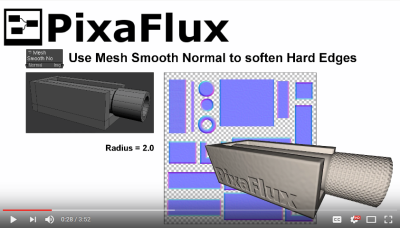 This video tutorial shows how to use the Scene Texture node to add 3D models to your PixaFlux Project, and connect your images as textures for these models. 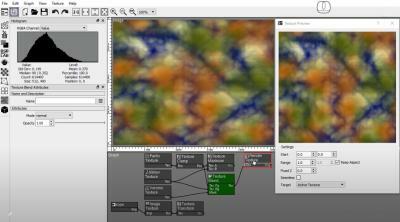 This video tutorial shows how to convert color images into normal images using normals or height as a source of information . 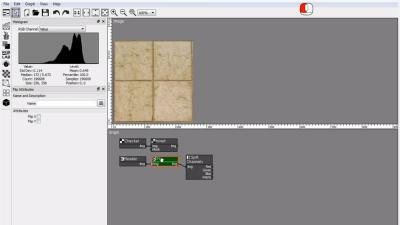 Learn how to soften hard edges to create a realistic organic look with PixaFlux. 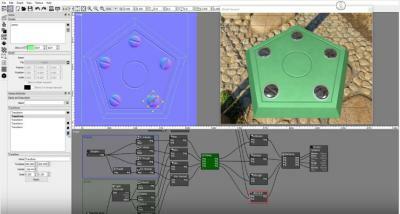 This video tutorial shows how to use Mesh Position Node and Mesh Normal Angle Node combined with procedural textures and integrate them into your 3D Model . 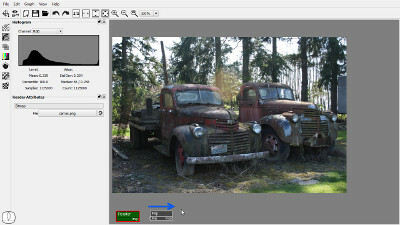 This video tutorial shows how to increase the saturation of a photograph with PixaFlux. 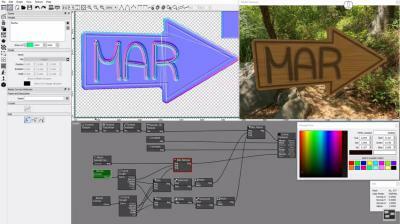 This video tutorial shows how to rotate Normal images with PixaFlux using the Transform Node.